Etiqueta Negra - Red Wine Launch (2018): I engineered a sequence with the iPads and TV to showcase the uniqueness of their latest red wine. Read about it here! Marriott Rewards Programme (2018): For their top tier members only event, I designed an app to showcase the merger of the rewards programme of Marriot, Ritz Carlton and SPG. Cortina Watches (2018): Designed a specialized app to simulate their latest online e-commerce portal; I made watches appear out of the iPad to showcase its convenience. Watch it here! P&G (2018): Directed a magic performance for the management team of P&G. Read about it here! National Healthcare Group- Teacher’s Day (2018): In this customized project, I crafted an act to show how teachers illuminate the path for their students. I also involved 7 VIPs up on stage crafting a mental effect that ends with their corporate messaging. Kohler (2018): With the introduction of their Smart Toilets, I created an app to make their logo appear for the launch. HP Enterprise (2018): Created a 10 minute performance with LED wall and projection. The focus was on how to defeat the IT Monster and inefficiencies. Read about it here! YPO Handover Colombo (2018): Engaged to collective crowd for a piece of customized mentalism. Read about it here! HP Product Launch (2018): Used the Hp Sprocket Plus for a Mentalism Routine together with the Hp Pavilion Laptop. See video here! Moet & Chandon (2018): Created an iPad Magic App to make a Moet & Chandon champagne appear. See video here! Connect Hype (2018): Designed a stage routine showcasing the different IT services of Connect PS in Egypt. One Faber Group (2018): Crafted an Experiential Story by showing the audiences One Faber Group's brand Story. Read and Watch it here! 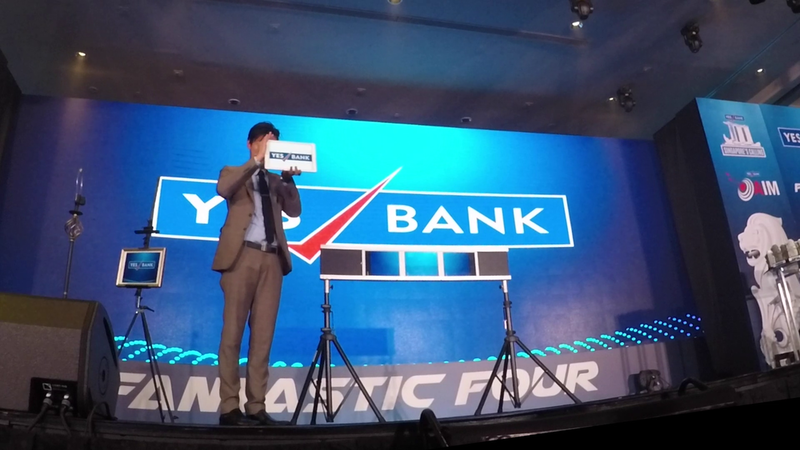 Yes Bank India (2017): Customized 3 iPads to Reveal Yes Bank's Logo and finally pulling it out. Read and Watch it here! Roger Dubuis x Pirelli Watch Launch (2017): Designed an iPad Magic App where it showcased the Pirelli Tyre being made into Roger Dubuis Watches and made the watch appear out of the iPad. Read about it here! Nanyang Technological University - School of Physical and Mathematical Science (2017): Conceptualized, wrote and directed a play for SPMS where a wizard would experience magic of a scientific nature. See parts of it here! Restaurant Andre (2017): For Tickets x Restaurant Andre, I designed 4 illusions which made ingredients and full dishes appear for their Gastronomic Circus De La Vida. 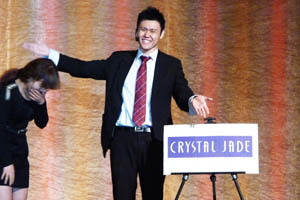 Read what they thought about my magic! NTT Communications (2017): Designed an act with the iPad to simulate online hacking process where the hacker would hack into a spectator's mind. Read about it here! Citi x PWC Hong Kong Fintech Challenge (2017): Created an online store PWC app and made an instant delivery of the item selected. Read about it here! Ford Hong Kong, Kowloon Bay Opening (2017): Designed a sequence to showcase Ford's history, present and future. Also designed a VIP launch sequence where VIP triggers a launch mechanism. See montage here! Shire (2017): Customized sequence to summarize 5 year work plan for Shire. See brief video here! Volkswagen 10th Anniversary (2017): Engaged to perform iPad Roving Magic for the pre-event and designed an illusion to make car appear out of the iPad. See video here! AIA Leadership Conference (2017): Designed a 10 minute sequence with the Hong Kong Agency to showcase AIA's leadership strategy. Mah Sing Malaysia - Kuala Lumpur (2017): Conceptualized an iPad Sequence with 4 iPads to showcase their old logo. iPad was custom programmed to allow VIP to swipe the image into the LED wall. See video here! Sky Premium "The Good Life" (2016): Conceptualized and coded a sequence for Sky Premium to launch their premium concierge service. See how I launch an intangible service here! Canon Pixma Printer Launch (2016): Conceptualized and coded a sequence for Canon to launch their printers with tagline: "Terrific Colors, Stylishly Compact". See the video here! Tempur X Singapore Tatler (2016): Performed iPad Magic with Weightless theme and made Tempur foam appear so that guests can have a hands-on experience. See it here! L'Oreal Lancome (2016): Designed an app to access Lancome's website and pulled the Genifique product out of the website. See it here! Guest Speaker at SLUSH (2016): Scripted a 10 minute talk on entrepreneurship and learning points for technological conference, SLUSH. Gillette Proshield Media Launch (2016): Designed a customized app to make the razor appear. Razor shaves off a beard to reveal slogan and banner. Watch video here! 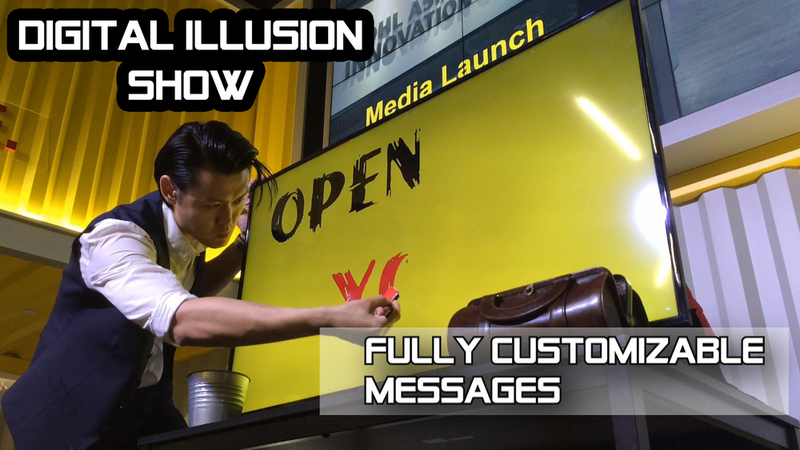 HP DaaS Activation (2016): Customized magic with a message to showcase HP's latest B2B solution. Used magic to exemplify the features of the product visually to internal staff. Hong Kah Secondary School (2016): Created iPad Magic to showcase current trends in electronics and technology. Featured illusions utilized drones, iPads and 3D printing. Hong Kong FWD Insurance Innovation Convention: Designed magic with innovation theme and utilized company's logo as part of the magic. See the video and read more here! CISCO Connect (Saudi Arabia, 2016): Presented my iPad Illusion Show which features themes of innovation in a technology and innovation conference in Saudi Arabia. See the video and read more here! Sentosa Harbourfront Business Association (2016): Crafted a presentation to showcase 3 key ideas for their book launch. Sequence was designed, coded and presented via iPad Magic. See the video and read more here! DHL Asia-Pacific Innovation Center Launch (2015): Designed a sequence to showcase innovation and DHL's capabilities. See the video and read more here! Ricola 75th Anniversary (2015): Designed an app on the iPhone to make a box of Ricola Candy appear. See video here! 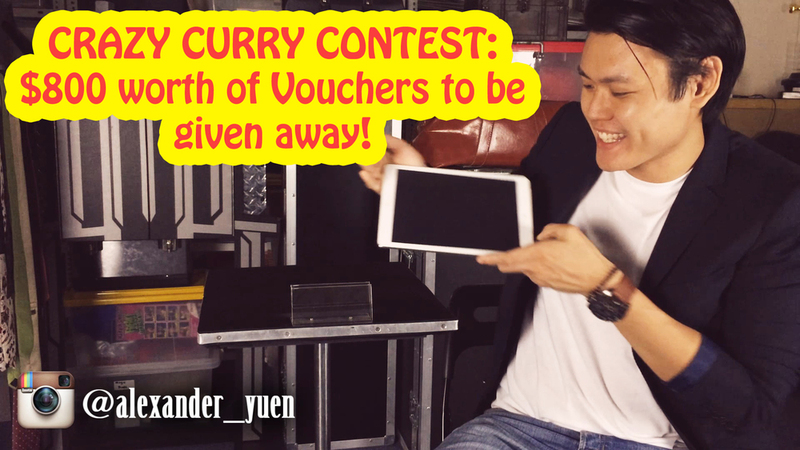 Coco-Ichibanya Social Campaign (2015): Conceptualized, designed and activated social media voucher giveaway campaign through iPad magic. See video here! International Brotherhood of Magicians (2015): Guest performer for International Brotherhood of Magicians' Anniversary Dinner. Tempur Mattress Weightless Campaign (2015): Conceptualized and designed an illusion sequence where a Tempur pillow would float followed by levitation of a lady. See video here! DP Information Group (2015): Created a sequence to launch a book titled SOAR. See write up and video here! Power98 Radio Show (2015): Crafted a mind reading illusion where Alexander reads the audience's mind over the radio waves. See it here! HP x SG50 (2015): Designed magic sequence featuring HP's laptop for SG50 Celebration. See video here! EZ Link (2015): Conceptualized and engineered 4 different methods of revealing 4 winning EZ Link Card designs with Minister of State, Mr Sam Tan. Kronenbourg (2015): Featured Craftsman. Made bottle of beer appear for Online Campaign. Esplanade (2015): Designed, produced and directed Virtual X Reality Theatre Show. Benefit Cosmetics (2015): Choreographed magic sequence to launch Roller Lash Product. Marlboro (2014): Designed special cigarette box that changes from a blank casing into the newly launched design. Singapore Heritage Festival (2014): Researched on Peranakan culture and created a show based on Peranakan motifs. Herbal Life (2014): Created magic effects using Herbal Life’s Drink Mix. NEC (2014): Designed and produced magic routine to illustrate and launch NEC’s software for data surveillance, analysis and delivery on a large city-wide scale at World Cities’ Summit. See VIDEO here. L’Oreal - Shu Uemura (2014): Formulated magic to showcase lightness of POREraser product. NETS (2014): Produced magic routine by changing money into NETS cards to illustrate the benefits of NETS Flash Pay Card. Nitto (2014): Designed card magic sequence to reveal award winners from Nitto. Maybe Baby (2014): Designed magic routine to exemplify perks of having a baby early. National University of Singapore (2014): Featured alumni in NUS Admission Campaign. See VIDEO here. 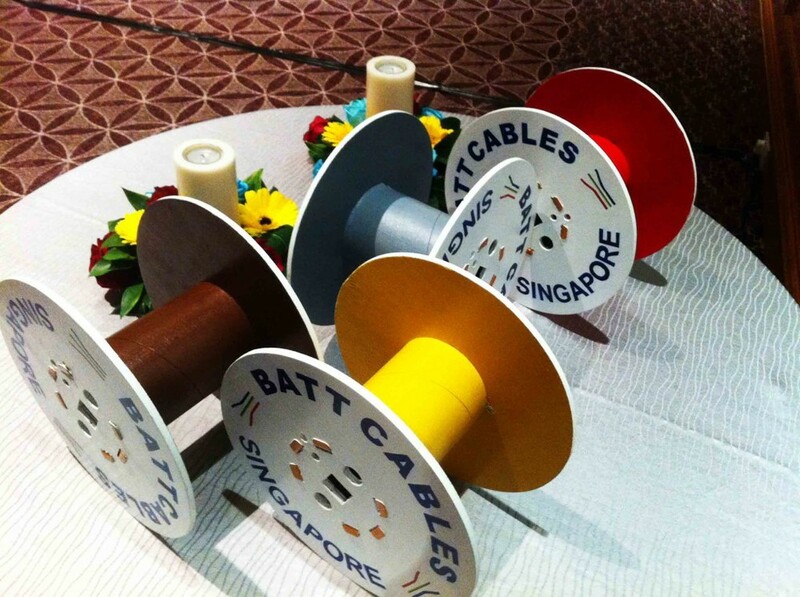 BATT Cables (2013): Conceptualized magic routine involving BATT Cables’ directors and CEO using BATT cables. Friso Milk (2013): Designed iPad Magic sequence to illustrate benefits of their milk to doctors and pediatricians. Benefit Cosmetics (2013): Conceptualized and performed sequence that made “eyebrows” appear through Benefit's Gimme Brow product. MOE Innovation Programme (2013): Designed acts to showcase creativity through magic. L’Oreal - Kiehls’ (2013): Relaunched the Midnight Magic Series by creating magic that showcases its benefits. AVIVA (2012): Conceptualized and designed magic video sequence to showcase how AVIVA's policies can save money. See VIDEO here. TaylorMade (2012): Conceptualized method to make TaylorMade golf clubs appear. Franck Muller (2012): Designed and performed magic to launch Franck Muller watches. Canon (2012): Incorporated magic elements to launch latest DSLR. Maybank (2012): Custom designed magic for Maybank Roadshow. Caterpillar (2012): Customized iPad Magic performance to reveal winners of 6 Sigma Gold Standard. 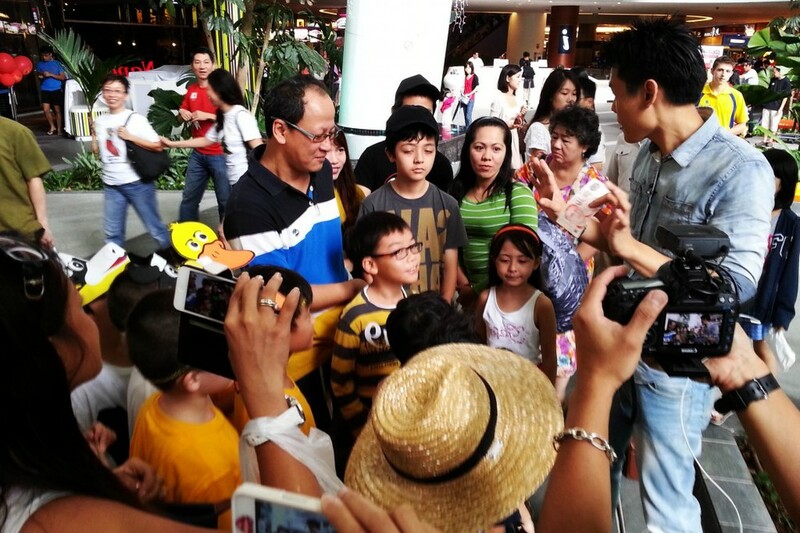 Caterpillar (2012): Designed and performed iPad Magic Show to re-enforce 6 Sigma procedures to international vendors. IDA (2012): Designed and performed iPad Show to illustrate elderly-friendly technological apps. Manulife (2012): Incorporated motifs to exemplify features of investing with Manulife.